Rather than resorting to the kind of Halloween silliness usually seen on sitcoms, The Office mostly dispensed with the comedy on October 30th and gave us an emotionally dark rollercoaster ride worthy of the haunted season. The unsettling scene with Jim and Pam in the restaurant with Jim’s brothers continued to build the tension in the couple’s tested relationship. Pam’s collaboration with the brothers to play a prank on her long distance boyfriend seemed like a strangely misguided decision. Their once happy affair now feels like a slow motion car crash. You know the impact is coming and there’s nothing you can do about it. 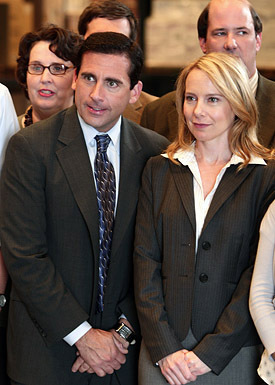 Two other characters struggling with issues of geographic seperation, even less successfully, were office boss Michael Scott and human resources rep turned girlfriend Holly Flax. After the CFO of Dunder Mifflin spotted the two kissing at work last episode, she was transferred to a branch in New Hampshire. The Holly character quickly became a fan favorite last season with her goofy fun loving attitude, and was thought by many to be Michael’s perfect match. At the end of the “Employee Transfer” episode, Holly announced that the distance of several hundred miles would be too far for them to maintain their relationship. It seemed like a sudden and pointlessly cruel turn of events for not just Michael, but for the viewers as well. Meanwhile, Dwight antagonized his romantic rival Andy by wearing a Cornell University sweatshirt and threatening to enroll there. Andy, portrayed as a stereotypical dumb jerk in previous seasons, seemed lost and helpless as Dwight made light of his beloved alma mater. 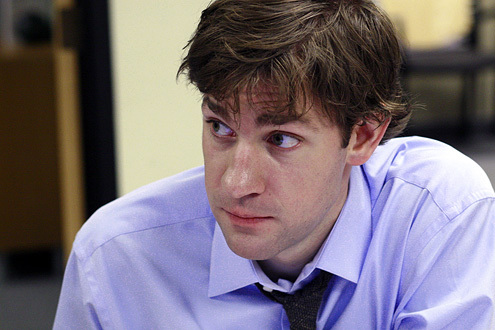 I felt sorry for Andy, given his history of rage attacks (putting his fist through the wall after Jim hid his cellphone), and wondered if Dwight’s antics would result in another such meltdown. 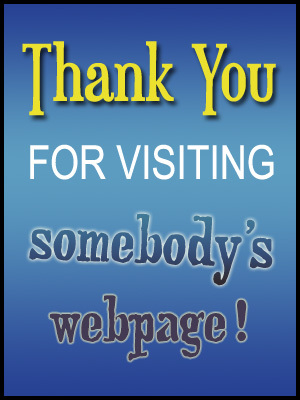 It is a testament to the writers’ skill that they could transform a seemingly one-dimensional character into a flawed but likable person worthy of our sympathy. At the end of last season I was firmly in the Dwight-Angela camp, but I’m starting to waver now that we’ve seen a more personal side of Andy. He seems more like an innocent bystander with his duplicitous fiancée Angela behaving lewdly with her ex in the supply closet. This episode was a great illustration of why TV Crawlspace thinks The Office is a top notch show. In addition to having great comedy, there are deeper themes and more serious developments. The characters are realistic and complex, and they each have their own virtues and imperfections. As in real life they strive to find the balance between friendship and the pursuit of their own self interests. The outcome is sometimes funny, sometimes scary.